On the morning of Sunday, March 4, 2018, Hawai‘i Wildlife Fund (HWF) and volunteers don gloves and began hauling derelict fishing nets and ropes and other plastic marine debris collected from the shores of Ka‘ū. With a volunteer heavy equipment operator (JD Services LLC), the team loaded the 11.6 tons of marine debris into a 40-foot Matson shipping container, making this effort the single largest container load. 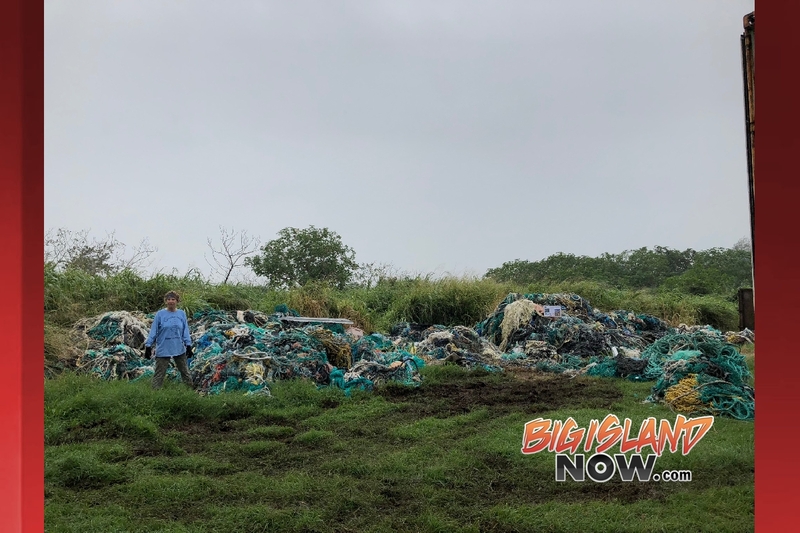 Recently, HWF has had to increase efforts to keep up with the barrage of marine debris washing up along the Ka‘ū shoreline as this year has already seen record amounts. Since 2005, HWF and volunteers have loaded over 106,000 lbs. 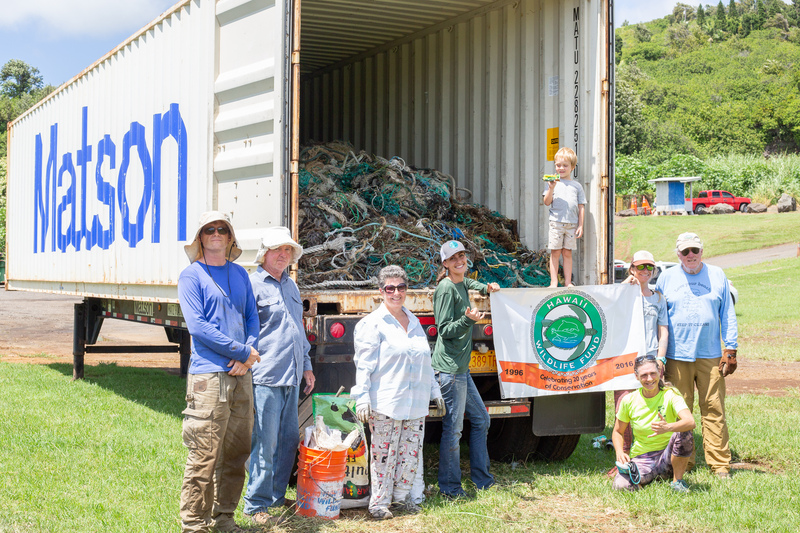 of plastic marine debris into containers bound for O‘ahu in the Hawai‘i Nets-To-Energy program. Once on O‘ahu, the nets will be transported to Schnitzer Steel Industries, where they will be chopped into pieces suitable for combustion at the City and County of Honolulu’s H-Power energy waste facility run by Covanta Energy (transport and other services are donated free of charge). The combustion process drives steam-powered turbines to produce electricity. 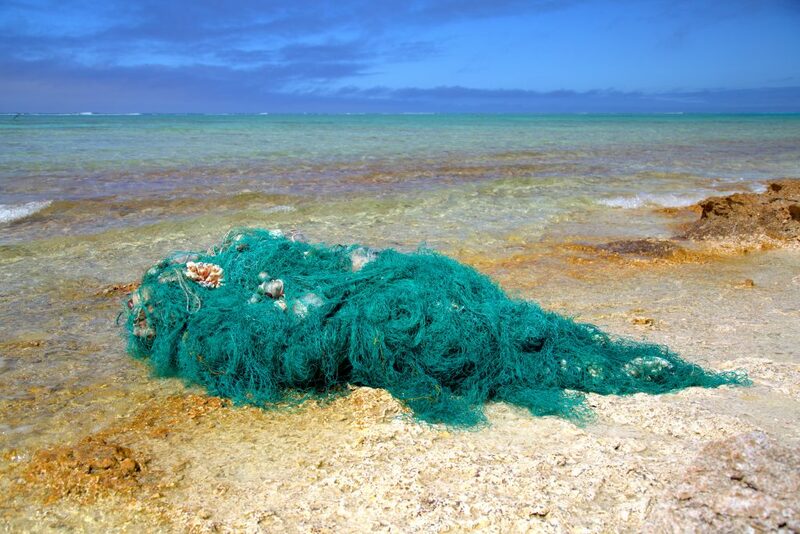 The Nets-To-Energy Program, organized by the National Oceanic and Atmospheric Administration (NOAA), is a multi-organizational marine debris partnership between local nonprofit community groups and private businesses. HWF is a small nonprofit conservation organization founded in 1996 to conserve native wildlife. 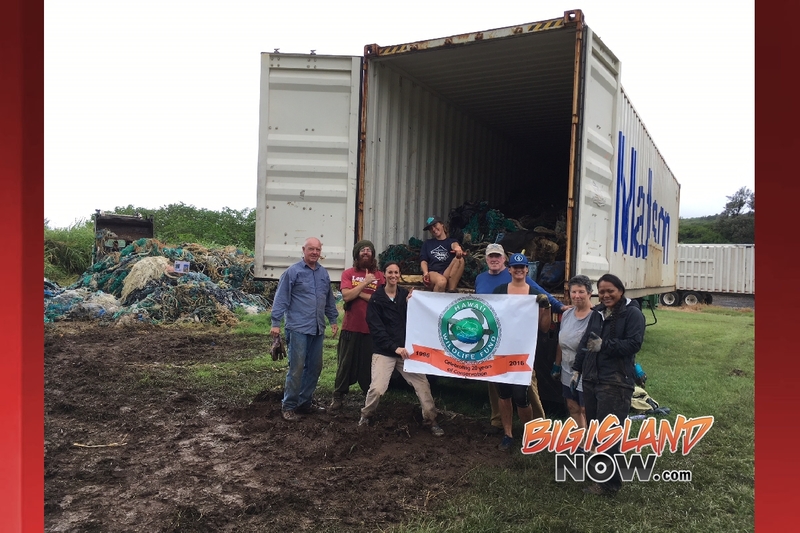 During its 22-year existence, HWF and volunteers have removed a total of 260 tons of marine debris from the shores of Hawai‘i Island (86% by weight), Maui, Midway and the French Frigate Shoals. In 2017 alone, HWF and volunteers have removed 60,838 lbs. 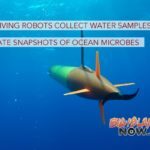 of marine debris from Hawai‘i Island & Maui. 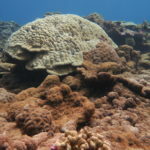 The majority of HWF’s marine debris removal work is conducted by volunteer labor, with financial support from the federal government (grants from the NOAA’s Marine Debris Program and Kona Brewers Festival), local businesses (Matson Navigation’s Ka Ipu ‘Āina, Kona Surf Film Festival), and private donations from around the world. 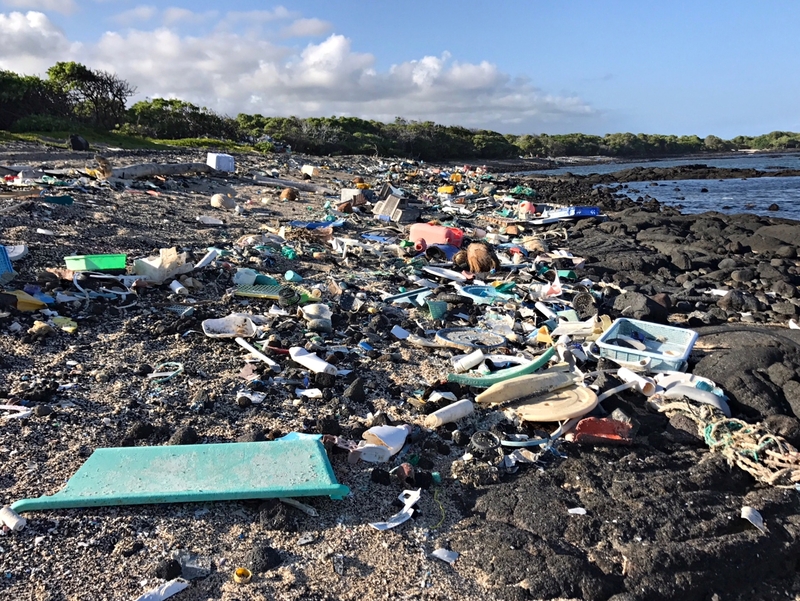 If you would like more information on the project or how to get involved with HWF, please contact them at kahakai.cleanups@gmail.com or call (808) 769-7629 or check the HWF website.